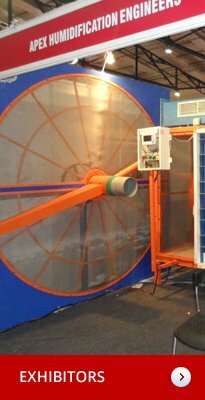 Manufacturers of Humidification plant Equipments and spares like Axial flow fans, Mist Eliminators, distribution louvers, air washer pipe line, air dampers, airtight doors, supply air diffusers, V’ filter, automatic rotary air disc filter, automatic rotary air drum filter, floor grills, Fibre / SS / GI / Aluminium ducting, spares etc,. Our Organization in the Field of Textile Humidification was established in the Year 2010 with registered office in coimbatore, South India. The Company is located at Ondipudur – Coimbatore, Which is well equipped with latest textures machineries to meet the customer requirements. 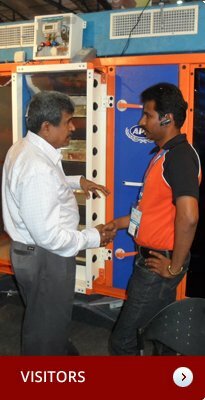 Our mentor, Mr. K. MOHANRAJ holds wide industry knowledge and experience in the field of Humidification. He eminent in drawing the project so as to cut the overheads of the textile mills in civil & engineering with respect to the requirement of providing moisture in the air in the mills. He guides us in every sphere of business, right from procuring the raw material to marketing the products to national and international markets. We supply the Quality Humidification Plant Equip. & Spares for Quality conscious customers at competitive prices. We strongly believes that customer are the lifeline of our business partner. Our experienced engineers and management team provide us guidance in maintaining the quality throughout the production process. Our team of quality analysts checks our Machinery.